Since 1982, RefugeeOne has welcomed more than 18,500 refugees from every major world crisis, including Cambodian survivors of the infamous killing fields, Rwandans and Bosnians fleeing genocide, Iranians forced out by the Islamic Revolution, and most recently, Syrians displaced by the ongoing civil war. In 2005, RefugeeOne even played a role in providing assistance for Americans displaced by Hurricane Katrina. Learn about some of the populations currently being resettled by RefugeeOne below. ﻿In the late 1800s, Nepalis migrated to southern Bhutan in search of farmland. The Nepalis, called Lhotsampas, kept their language, culture, and religion. They were allowed citizenship and could work government jobs. In 1980, the Bhutanese government feared the people in the south would take majority, and so Bhutanization began. Bhutanization was created to unify the country under the Druk (Northern Bhutanese people) culture. New requirements for citizenship disenfranchised many ethnic Nepalis, depriving them of their citizenship. In 1990, the Bhutanese government announced that the Lhotsampas who could not prove they had been residents of Bhutan before 1958 had to leave the country. Tens of thousands of people fled. ﻿﻿﻿There has been conflict between the government and ethnic-based groups seeking greater autonomy in Burma for more than 50 years. The government has been criticized by the international community for human rights violations. The majority of refugees from Burma fled to Thailand between 1995 and 1997 after a series of military offensives by a government group (State Peace and Development Council) against opposition movements. Note: In 1988, the council changed the name of the country from Burma to Myanmar. 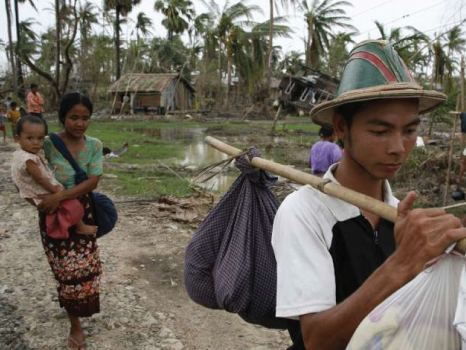 The United States and much of the rest of the world do not recognize the name Myanmar because of its oppressive implications for the people of Burma. ﻿The 1994 Rwanda genocide bled into the Democratic Republic of Congo (DRC) after genocidieres and survivors of the conflict took refuge there. This aggression escalated into the First Congo War when Rwanda invaded DRC in search of the perpetrators. The Second Congo War, the deadliest conflict since World War II, followed in 1998. Though a peace accord was signed in 2003, turmoil over control of the government and natural resources still plagues the country. At the end of 2013, 2.6 million people of Congo were internally displaced and more than 460,000 had crossed international borders in hope of refuge. Countries of Refuge: Uganda, Tanzania, Rwanda, Burundi, Zambia, Malawi. Tensions between Eritrea and Ethiopia have been high since Eritrea gained independence from Ethiopia in 1991 following a 30-year war. 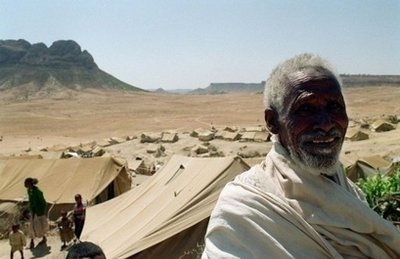 In 1998, a border dispute sparked a 2-year conflict in which Ethiopia captured a third of Eritrea’s desert and forced a million to flee their homes. It is estimated that every Eritrean has lost two to three family members in the conflicts with Ethiopia. By 2000, a third of Eritrea’s population had been displaced, and though the war with Ethiopia is over, lingering tensions and the continued presence of land mines makes returning home impossible for many. Iraq has spent decades in political and social turmoil, and the reasons that people leave the country are varied. Religion-based strife affects many, whether they are Sunni or Shi’a Muslims or members of a religious and/or ethnic minority (including Baha’is, Christians, Jews, Sabaean-Mandaeans, and Yazidis). Professionals and female heads of household are often singled out for persecution, as are minority Assyrians and Chaldeans. Those who are thought to have collaborated with the American military are also vulnerable to attack. Today, more than 4 million Iraqis seek a safe place to live. ﻿﻿In 1991, the Somali government collapsed. Civil war broke out because of clan competition for power and the desire to settle old scores. This had disastrous effects on the civilian population. Armed bandits, who looted warehouses and food shipments, aggravated problems of food distribution. In the absence of an accepted government, power and food were in the hands of those with guns, and in a country that had been the recipient of much foreign military aid, there was no shortage of arms. The conflict continues to this day. At least 45% of the population has been displaced or fled the country since 1991, and several hundred thousand Somalis have died from violence, disease, and famine. ﻿Sudan has been ravaged by decades of civil war, sparked by ethnic tensions and disputes over territory and natural resources. 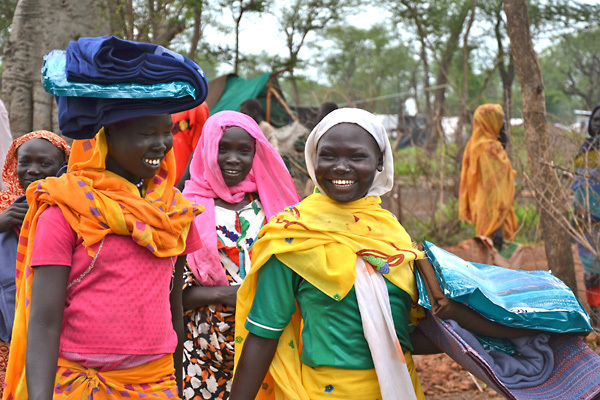 After years of conflict, in 2011, the country was split into Sudan and South Sudan, but fighting between North and South rebel armies and the North’s Government forces continues. Fighting over land and oil rich territories has displaced over 1.5 million people and caused over 500,000 to seek refuge in neighboring countries. Even though some have returned to Sudan, conflicts between both countries continue to cause their people to live in fear. ﻿The Syrian Civil War began in 2011, when the government brutally cracked down on non-violent civilian uprisings. By 2014, Syria was the number one source country of refugees worldwide. Just two years earlier, Syria was not even in the top 30 refugee source countries, showing just how rapidly the situation has deteriorated. By April 2015, the UN estimated that nearly 9.5 million Syrian people had been displaced, which is more than 40% of the country's pre-war population. Almost 4 million Syrians have registered as refugees. Countries of Refuge: Turkey, Jordan, Iraq, Egypt, and Lebanon. Such high numbers of people have fled the country that Syrian refugees currently make up 20% of Lebanon's population.